Cod liver oil based, natural vitamin D and A cream. High topical absorption. Easy to use, non-messy! Most of us could use more vitamin D in our lives, but if we do it wrong, it could go badly! Vitamin D is a pre-hormone that, taken in excess, can lead to high levels of calcium…. So what’s the solution? 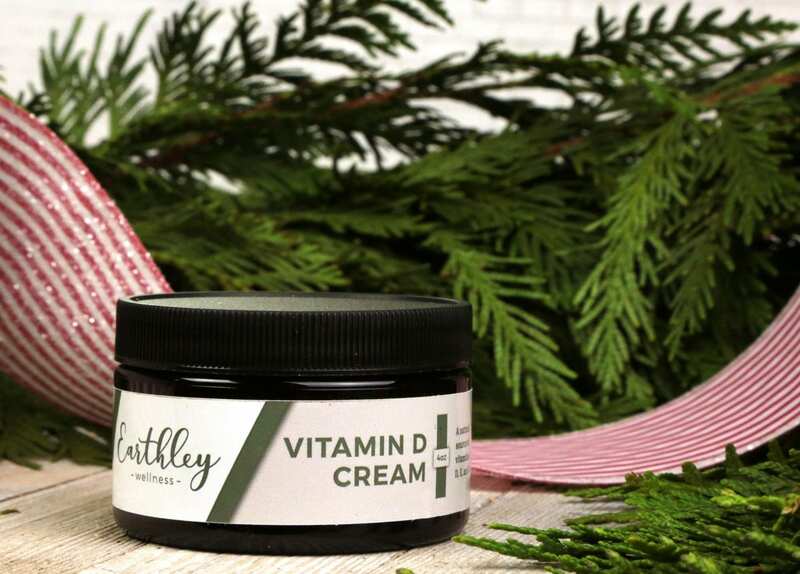 Our new, natural Vitamin D Cream! It’s based on cod liver oil, which contains both vitamins A and D, as well as some vitamin E and K2. The fat-soluble vitamins are balanced, so that they can be used by the body in the easiest way possible, and be the most beneficial. Well, first, many people don’t really like the taste of cod liver oil and don’t want to swallow it. A topical delivery allows people to totally avoid this issue. Second — and more importantly — our bodies are supposed to get vitamin D from the sun, which is, of course, topical. They’re meant to get vitamin D topically, rather from diet! In fact, some studies show that vitamin D is absorbed nearly eight times better topically than orally. We’ve mixed cod liver oil with emu oil, avocado oil, and mango butter, for just the right balance of vitamins. The lotion is deeply nourishing to skin, and the whole body. This listing is for a 4-oz. jar. Use 1/2 – 1 tsp. on thighs or stomach, or an area with a lot of fat for optimal absorption. Huge miss for me. I love the idea of this, the cream is very nice in texture, but scent is too fishy for me. I put it on at bedtime, so I wouldn’t have to smell it. Then a week later, after I had washed the shirt I wore, started smelling it again. The scent had permeated my shirt, and didn’t wash out. Hopefully they add some EOs to the formula. Lemon would be nice. I actually don’t mind the scent much! It is slightly fishy and grassy smelling to me. I put it on my baby’s thighs at night and the scent dissipates very quickly. Much easier than trying to give CLO orally to kiddos. 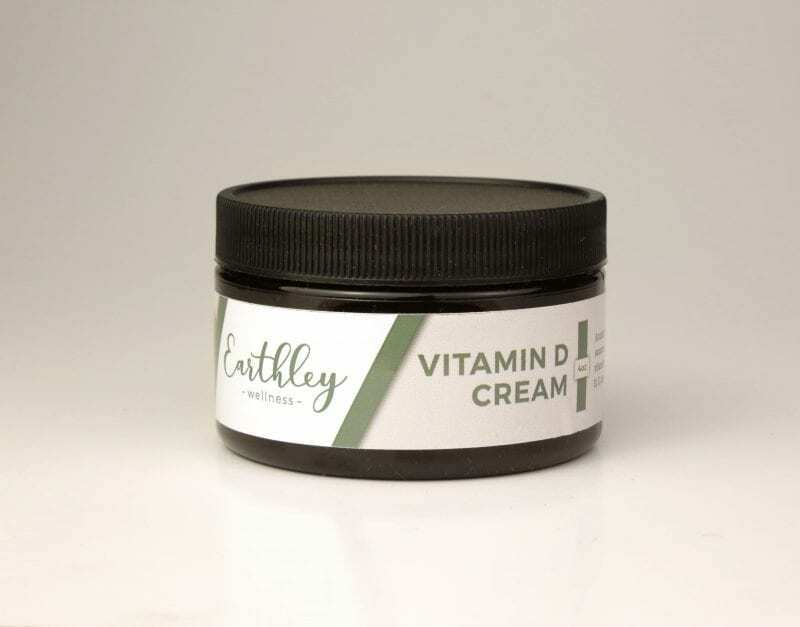 This cream is great! It doesn’t have a smell at all. It is great to have a method for getting vitamin d that isn’t a questionable pill or a liquid I have to choke down (or somehow get my kids to choke down)! It’s nice to be able to use this on rainy or cold days when we don’t get out for sunshine! Just received this and so far so good. It’s a nice texture, a little fishy smelling but not bad. I like this method better than taking it orally so I’m excited about using for me and my little one. Very happy. I don’t even notice a smell. 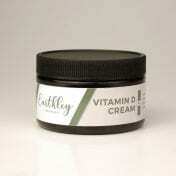 The texture is a bit grainy at first, but warm it between your hands and it smoothes nicely. I was finding it difficult to remember to take Vit D drops, so adding this to my after-shower ritual has worked great! My girls like it after bath time too. I’ve been using this on myself and my toddler and baby for over 2 weeks now. I haven’t noticed any fishy smell at all. It goes on mostly smooth and creamy, but sometimes is a little grainy. I love so easily getting some extra vitamin D and A into our bodies from such a trusted source! Love how it works but not the smell left on my nightshirt. It has definitely eased my body aches since I started using it so I do recommend it for its effectiveness. A gentle caution somewhere on the site or product warning of the odor transference to clothes would be good. I love this is a cream as I’ve always been terrible at remembering pills. I don’t feel it has a fishy smell and great I can use it on myself and my 8 month old. Love this product so far! I didn’t even notice a fishy smell when using it. It is so nice to be able to get some vitamin D without having to take cod liver oil by mouth. I love that it is a topical cream.